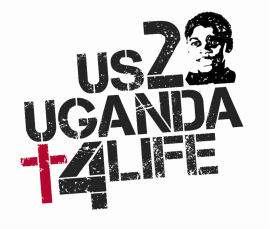 In 2011 US2UGANDA4life partnered with Peninsula Community Church of Rancho Palos Verdes CA. to build a 50,000 liter water catchment system. Living Water International co-ordinated and managed the entire project so efficiently that they were able to increase the size of the tank to 75,000 liters. Thank you to Pastor JIm Welch for your continued support and thank you Beau Abdulla and Living Water International for making it happen! Cooking for more than 200 people on a daily basis is a challenge in the best of conditions but when you depend on firewood for heat it makes that track even more difficult. In june of 2011 US2UGANDA4life in partnership with Fred Colgan at Aprovecho in Eugene Oregon were able to revolutionize the cooking process at the Children's center. The rocket stove, in addition to reducing the needed firewood by 80% was able to increase the cooking time from over two hours to less than 30 minutes! Just amazing. CLICK HERE if you would like to learn more about our need to purchase three more stoves!